Although three weeks late, Monarch Butterflies have started to appear all over Sierra Gorda, stopping off on their long migration to the fir forests further south. 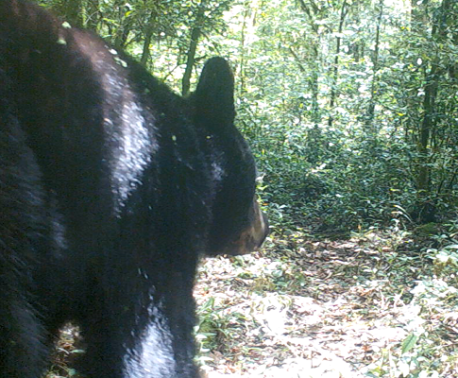 Roberto Pedraza, Technical Officer of Grupo Ecológico Sierra Gorda, World Land Trust’s (WLT) conservation partner in Mexico took this photograph on 22 November 2014. Roberto found the big group of the butterflies in the highlands of Sierra Gorda. There were so many of them that the branches of the cedar were bowing under the weight. He noticed that they had returned to the same place that he remembered them visiting when he was a child. 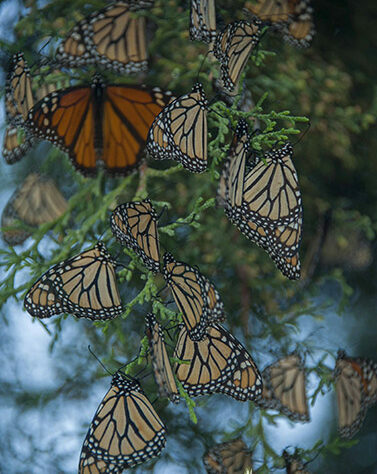 Traditionally Monarch Butterflies arrive in Mexico on the Day of the Dead, which is celebrated on the first two days of November, and according to Mexican folklore they are said to represent the souls of the dead. 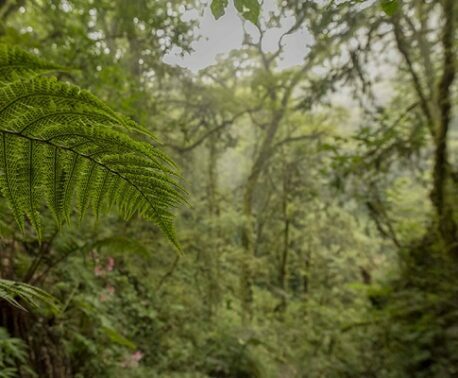 WLT has funded land purchase and conservation in Sierra Gorda since 2007. You can help save more habitat for Monarch Butterflies by making a donation to WLT’s Buy an Acre appeal.